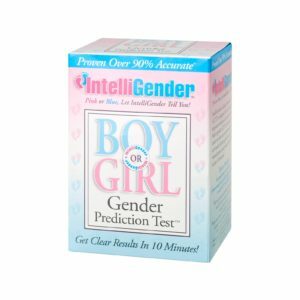 This web site is owned by Early Image Pty Ltd ABN 12 21 433883. trading as Early Image IntelliGender®. The intellectual property rights in all materials included in the web site are either owned by or licensed to us and all rights in those materials are reserved. Except for the purposes of viewing this site, you must not copy, adapt or distribute those materials unless you have first obtained our written consent to do so. All contents of the Early Image IntelliGender Web Site are: Copyright 2009 – Early Image Pty Limited and/or its suppliers. All rights reserved. When you access this site, we may make a record of your visit and log information for statistical and security purposes. This information does not include any personally identifying information but may include your server address and domain name, the operating system used on your computer, the date, time and duration of your visit to this site, the pages you access while at this site, the previous site you visited and the type of web browser you are using. We use this information to analyse our site’s usage and performance and to refine and develop our site. If you register on this site and purchase services or products, we ask you to provide certain personally identifying information about yourself. We will use this information you provide to us on this site to fulfil your requests, authenticate your identity if you ask us to reset your password for the site, contact you from time to time regarding other services or products which you may be interested in, personalise our site for you based on your stated preferences and, if you have consented, send materials to you by post. If you are an existing customer or contact we will also use the information you provide to us to ensure that our records are correct. The cookies sent by our site expire when you end your current session (for example by closing your web browser software) and are not stored permanently on your computer’s hard drive. You may view and correct any personally identifying information about yourself by logging on to the site and updating your user profile. Alternatively, please contact us at support@boyorgirl.com.au. If you wish to be removed as a user of our site and have all personally identifying information deleted from our systems, please contact us at support@boyorgirl.com.au. Early Image Products Pty Limited does not claim ownership of the materials you provide to us or to our website (including feedback and suggestions) or post, upload, input or submit to any Early Image Pty Ltd Web Site or its associated services (collectively “Submissions”). However, by posting, uploading, inputting, providing or submitting your Submission you are granting Early Image Products Pty Limited, its affiliated companies and necessary sublicensees permission to use your Submission in connection with the operation of their businesses including, without limitation, the rights to: copy, distribute, transmit, publicly display, publicly perform, reproduce, edit, translate and reformat your Submission; and to publish your name in connection with your Submission. No compensation will be paid with respect to the use of your Submission, as provided herein. Early Image Products Pty Limited is under no obligation to post or use any Submission you may provide and may remove any Submission at any time in Early Image Products Pty Limited’s sole discretion. THE INFORMATION, SOFTWARE, PRODUCTS, AND SERVICES INCLUDED IN OR AVAILABLE THROUGH THIS WEB SITE MAY INCLUDE INACCURACIES OR TYPOGRAPHICAL ERRORS. CHANGES ARE PERIODICALLY ADDED TO THE INFORMATION HEREIN. EARLY IMAGE PRODUCTS PTY LTD AND/OR ITS SUPPLIERS MAY MAKE IMPROVEMENTS AND/OR CHANGES IN THE EARLY IMAGE PTY LTD WEB SITE AT ANY TIME. ADVICE RECEIVED VIA THIS WEB SITE SHOULD NOT BE RELIED UPON FOR PERSONAL, MEDICAL, LEGAL OR FINANCIAL DECISIONS AND YOU SHOULD CONSULT AN APPROPRIATE PROFESSIONAL FOR SPECIFIC ADVICE TAILORED TO YOUR SITUATION. EARLY IMAGE PRODUCTS PTY LTD AND/OR ITS SUPPLIERS MAKE NO REPRESENTATIONS ABOUT THE SUITABILITY, RELIABILITY, AVAILABILITY, TIMELINESS, AND ACCURACY OF THE INFORMATION, SOFTWARE, PRODUCTS, SERVICES AND RELATED GRAPHICS CONTAINED ON THIS WEB SITE FOR ANY PURPOSE. TO THE MAXIMUM EXTENT PERMITTED BY APPLICABLE LAW, ALL SUCH INFORMATION, SOFTWARE, PRODUCTS, SERVICES AND RELATED GRAPHICS ARE PROVIDED “AS IS” WITHOUT WARRANTY OR CONDITION OF ANY KIND. EARLY IMAGE PRODUCTS PTY LTD AND/OR ITS SUPPLIERS HEREBY DISCLAIM ALL WARRANTIES AND CONDITIONS WITH REGARD TO THIS INFORMATION, SOFTWARE, PRODUCTS, SERVICES AND RELATED GRAPHICS, INCLUDING ALL IMPLIED WARRANTIES OR CONDITIONS OF MERCHANTABILITY, FITNESS FOR A PARTICULAR PURPOSE, TITLE AND NON-INFRINGEMENT. TO THE MAXIMUM EXTENT PERMITTED BY APPLICABLE LAW, IN NO EVENT SHALL EARLY IMAGE PRODUCTS PTY LTD AND/OR ITS SUPPLIERS BE LIABLE FOR ANY DIRECT, INDIRECT, PUNITIVE, INCIDENTAL, SPECIAL, CONSEQUENTIAL DAMAGES OR ANY DAMAGES WHATSOEVER INCLUDING, WITHOUT LIMITATION, DAMAGES FOR LOSS OF — USE, DATA OR PROFITS, ARISING OUT OF OR IN ANY WAY CONNECTED WITH THE — USE OR PERFORMANCE OF THE EARLY IMAGE PRODUCTS PTY LTD WEB SITES, WITH THE DELAY OR INABILITY TO — USE THE EARLY IMAGE PRODUCTS PTY LTD WEB SITE OR RELATED SERVICES, THE PROVISION OF OR FAILURE TO PROVIDE SERVICES, OR FOR ANY INFORMATION, SOFTWARE, PRODUCTS, SERVICES AND RELATED GRAPHICS OBTAINED THROUGH THE EARLY IMAGE PRODUCTS PTY LTD WEB SITE, OR OTHERWISE ARISING OUT OF THE — USE OF THE EARLY IMAGE PRODUCTS PTY LTD WEB SITE, WHETHER BASED ON CONTRACT, TORT, NEGLIGENCE, STRICT LIABILITY OR OTHERWISE, EVEN IF EARLY IMAGE PRODUCTS PTY LTD OR ANY OF ITS SUPPLIERS HAS BEEN ADVISED OF THE POSSIBILITY OF DAMAGES. BECA– USE SOME STATES/JURISDICTIONS DO NOT ALLOW THE EXCLUSION OR LIMITATION OF LIABILITY FOR CONSEQUENTIAL OR INCIDENTAL DAMAGES, THE ABOVE LIMITATION MAY NOT APPLY TO YOU. IF YOU ARE DISSATISFIED WITH ANY PORTION OF THE EARLY IMAGE PRODUCTS PTY LTD WEB SITE, OR WITH ANY OF THESE TERMS OF — USE, YOUR SOLE AND EXCLUSIVE REMEDY IS TO DISCONTINUE USING THE EARLY IMAGE PTY LTD WEB SITE. If you would like any further information about how we handle your personal information or if you have any questions or comments about privacy issues, please contact us at support@boyorgirl.com.au.